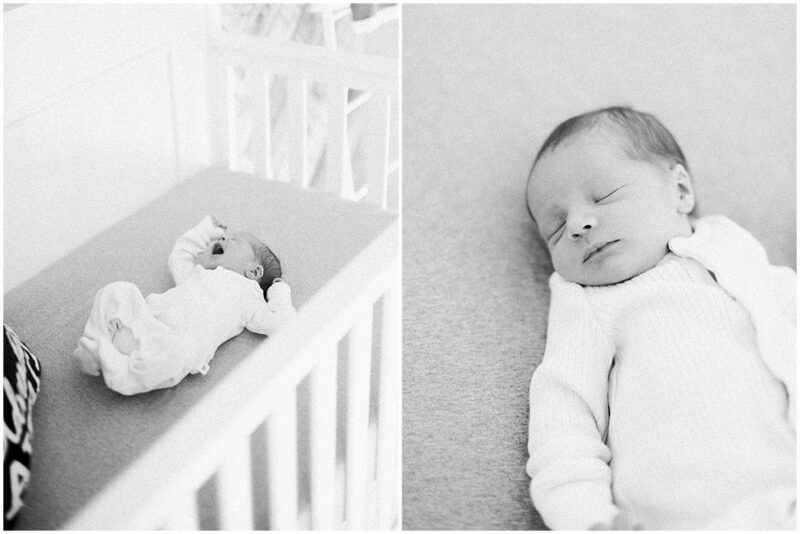 I was so excited to capture Hudson’s beautifully Modern Denver newborn session on film last month. 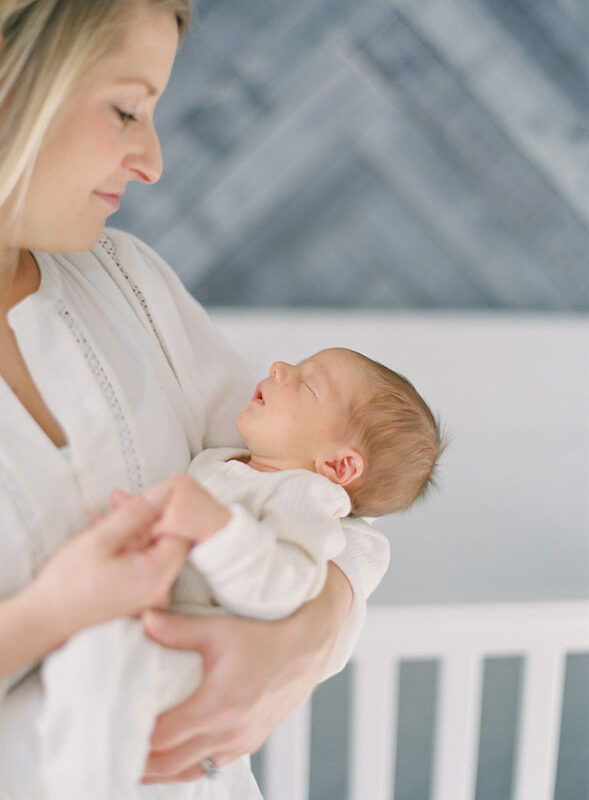 Documenting families and being able to watch them grow is absolutely one of my favorite parts of my job! 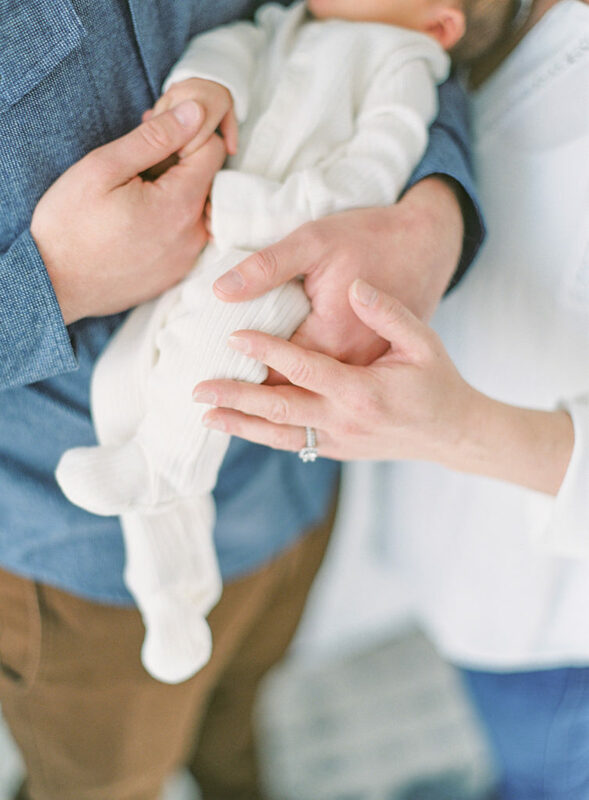 Whether we are celebrating a particular milestone, or simply updating family portraits, I love photographing families in the Denver area, and Jessica and Darin were no exception! 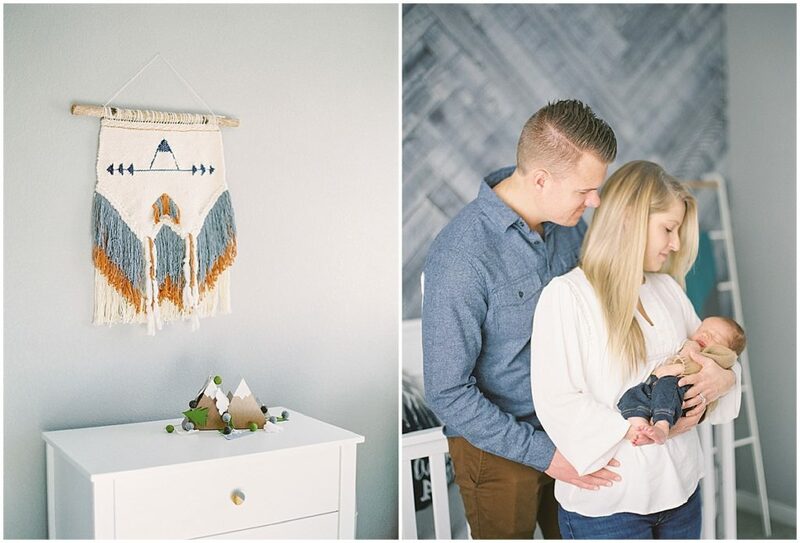 I was able to capture their beautiful engagement photos a few years back and was thrilled when they called me before the arrival of their son, Hudson to capture their modern denver newborn session. 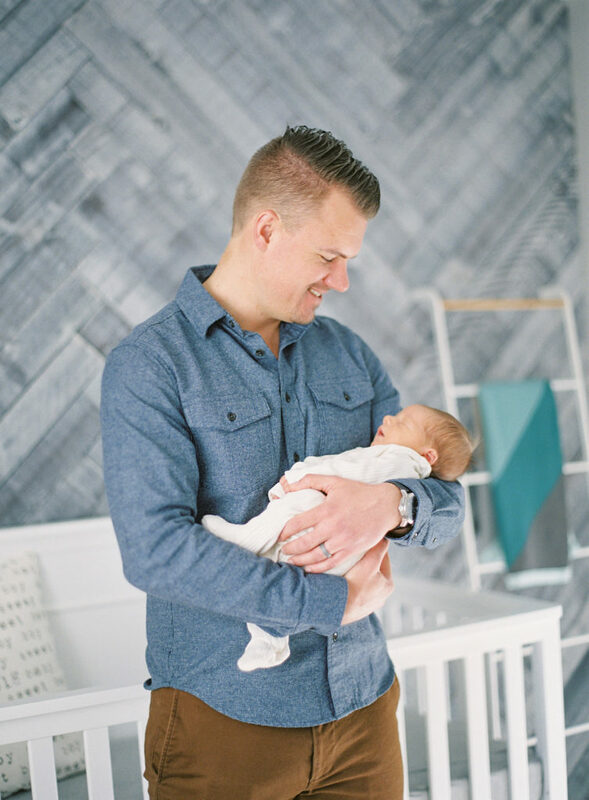 When Hudson arrived this winter, I was thrilled to meet Jessica and her husband Darin in their beautiful home. 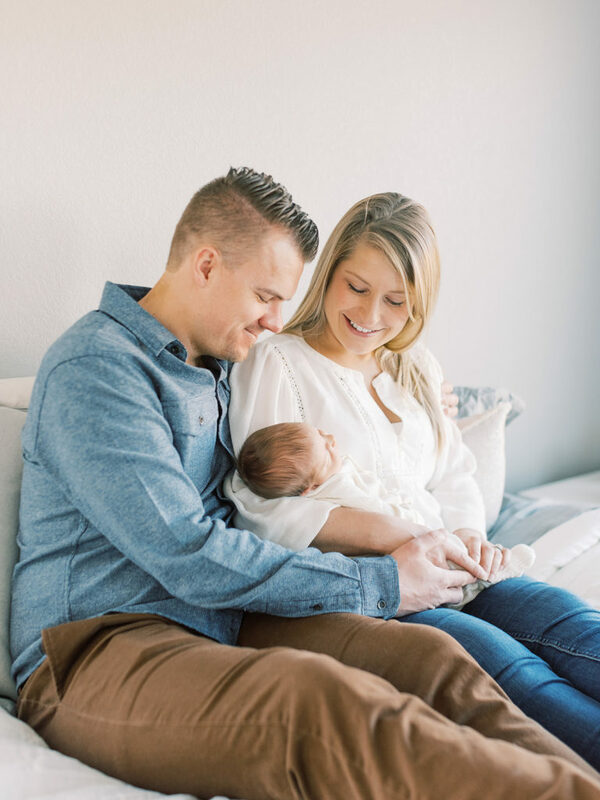 After hearing their story, and learning about their experience with conceiving, I am so honored to know such a sweet and kind couple, who have become such amazing parents already! 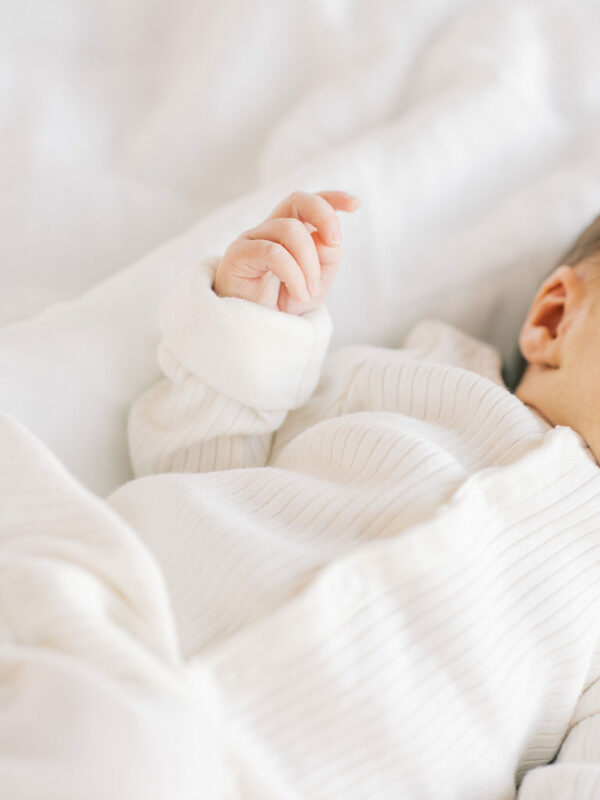 It was no surprise that their little boy is adorable, and just a week after being born was ready to show off his happy personality to the world. 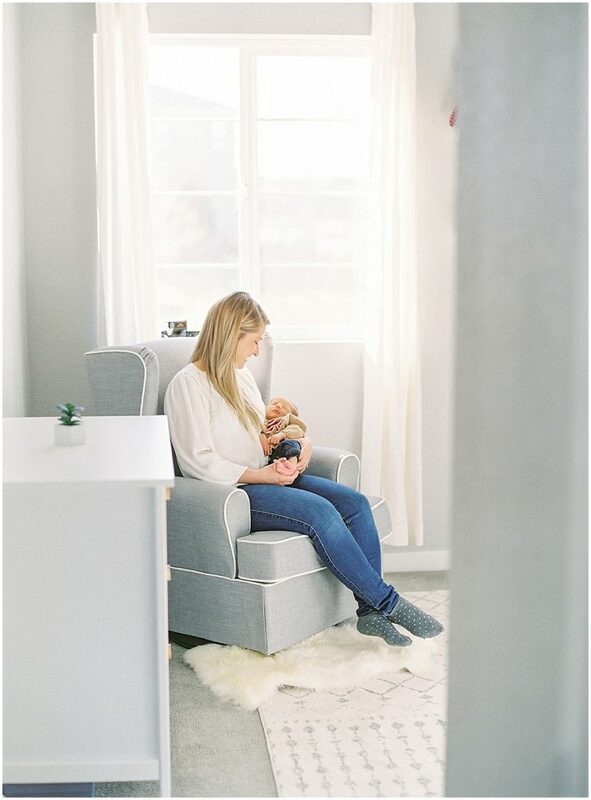 Hudson’s bright and modern nursery is decorated in white soothing tones and a cool color palette. 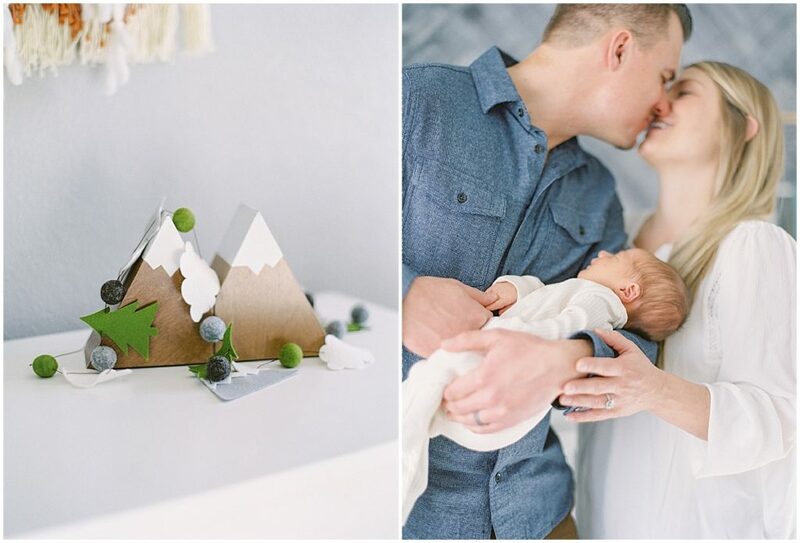 They designed it around the wooden wall that Darin built for the nursery, as well as the couples’ love of the mountains and fly fishing. 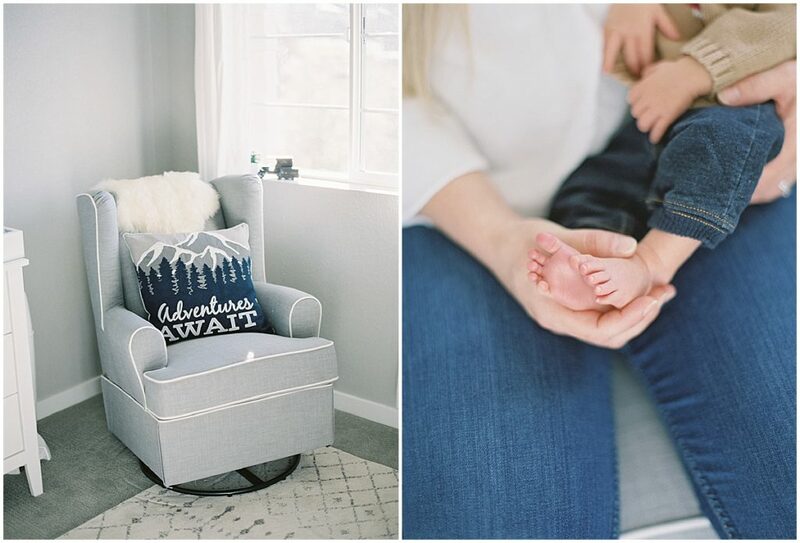 All carefully curated details that were found throughout his room. 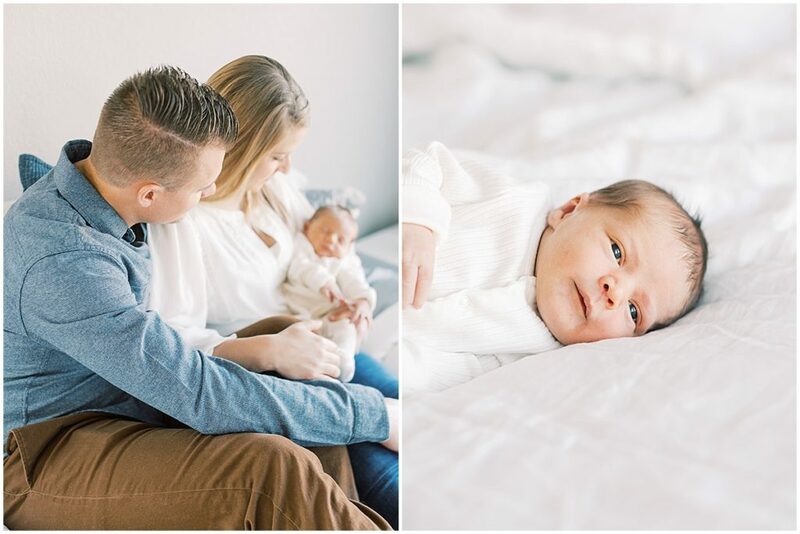 It was such a pleasure capturing this sweet Modern Denver newborn session on film in this sweet family’s home, and I can’t wait to see what other amazing moments the future holds for these three! 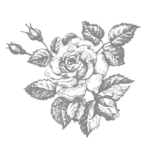 ​Before you were born I carried you under my heart. 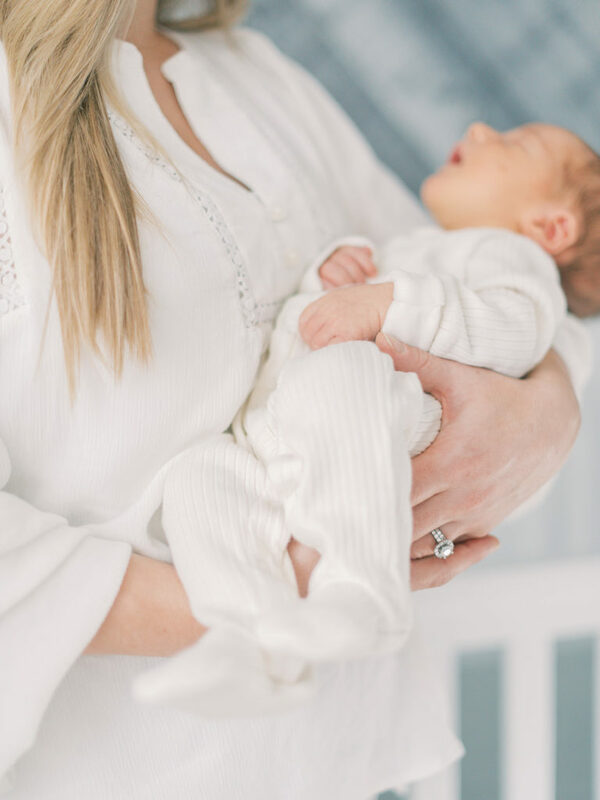 From the moment you arrived in this world until the moment I leave it, I will always carry you in my heart. 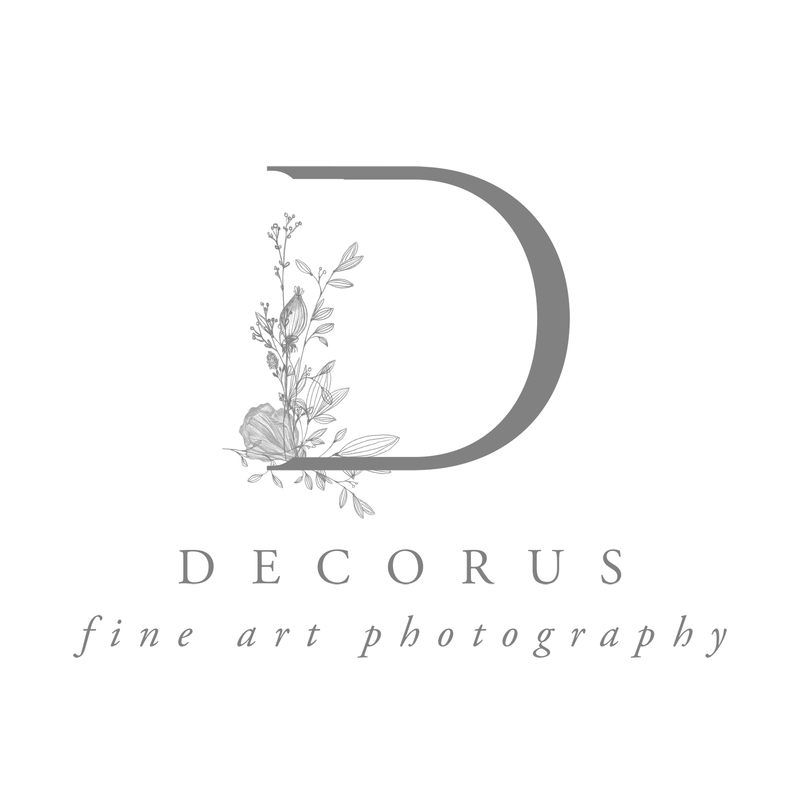 If you’d like to schedule a Newborn Session with Decorus Photography, inquire here and we would love to send you the information!